i am a snowlover! i love love love to go outside when it's snowing, i love the crunch under my shoes, i love how the whole world suddenly appears peaceful and clean and quiet. a winter without snow makes me very sad. so let me tell you how utterly disappointed i am about our winters. snow usually just makes it's appearance by february, and that's a time when most people are fed up with winter anyway. i'm stilll anticipating snow though. i can't wait for it to arrive. i feel jealous reading blogs that have been posting snow photos since december. our snow day will come, i'm sure. and then we will celebrate it! a few tiny snowflakes floated through the cold winter air yesterday, so it was a perfect day to at least have a snow-crafty afternoon! 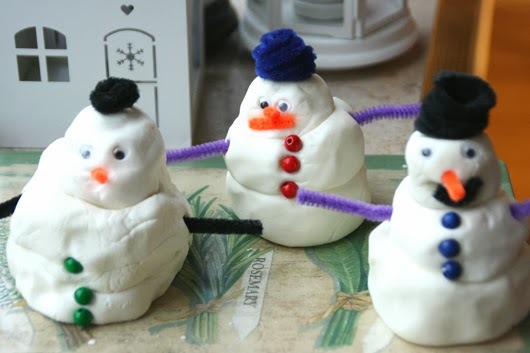 a friend of mine and her boys came over for a playdate, and we tried a snow dough recipe we had found on pinterest. and let me tell you: it's GREAT! it's so easy to make, it's cheap, it works, it's easy to clean up and it leaves your hands soft and smelling good! all you need is a big bottle of body lotion (any cheap brand will do) and 1-2 packets of corn starch. 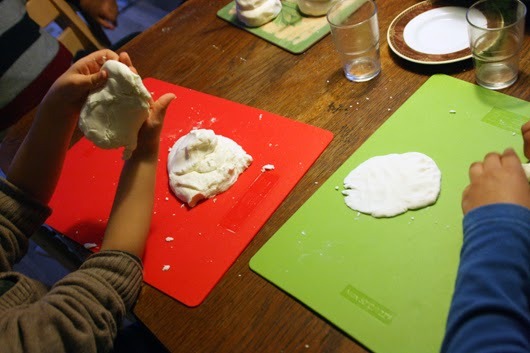 we pre-made the dough by slowy adding body lotion to corn starch in a large bowl and thoroughly kneading it. the more you work it, the better it gets! after that we called the boys and they had a blast just kneading the "snow" balls, making snowmen, and giving some igloos a try, too! the dough can be kept in the fridge, and a drop of body lotion will make it soft and pliable again in case it became a little dry and crumbly. 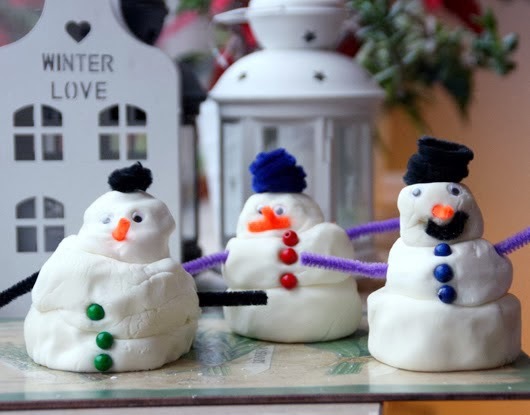 any favourite snow relate crafts you'd like to share?? Great hint! Never would have the idea to mix bodylotion and starch! !